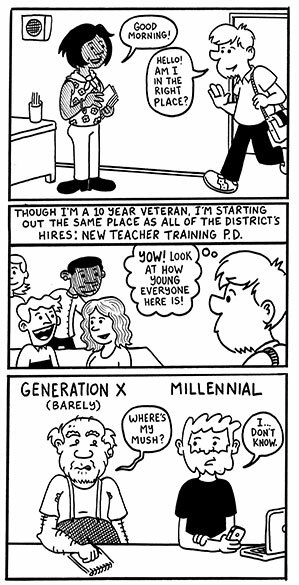 « Teacher Comics: I’m a project based learning guy now. Maybe I always was? This entry was posted on September 28, 2015 at 10:36 am and is filed under 2015-2016 school year with tags comics, education, journal comics, teacher comics. You can follow any responses to this entry through the RSS 2.0 feed. You can leave a response, or trackback from your own site.